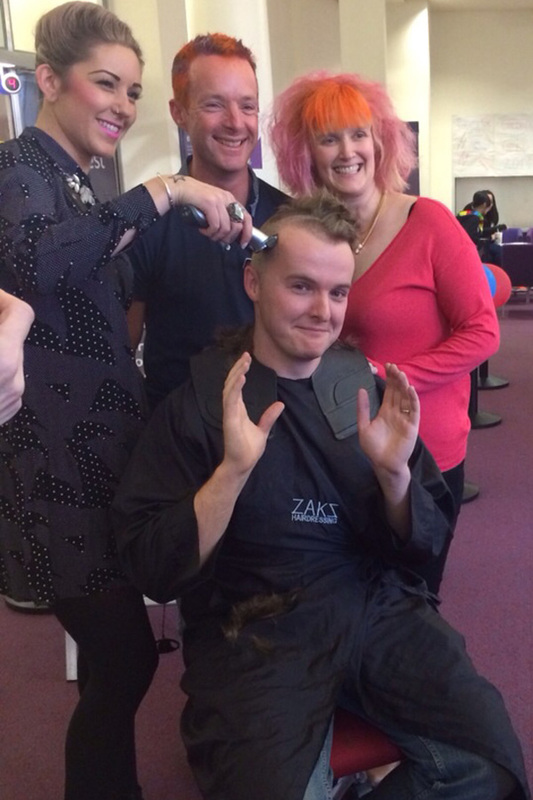 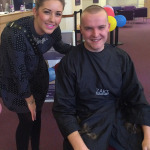 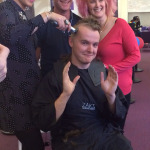 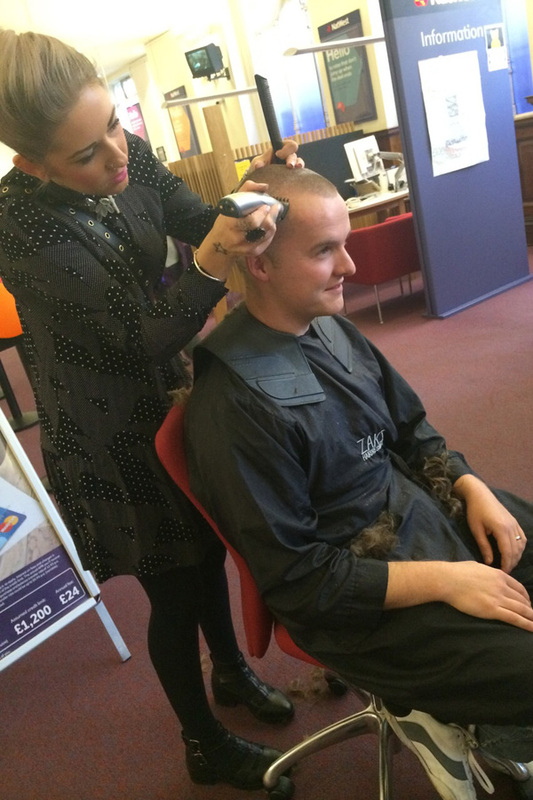 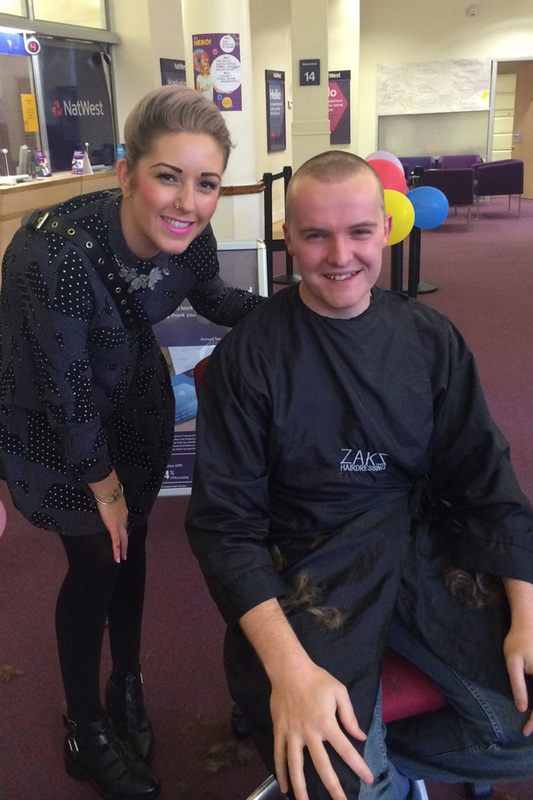 Stylist Casey, from our Wolverhampton School Street salon, was thrilled to be asked to help raise money for Children in Need by wielding her scissors. 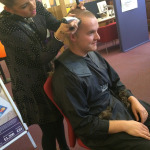 Fred, Assistant Manager at Nat West Bank in Queens Square, had bravely agreed to lose his locks and asked Casey to do the deed. 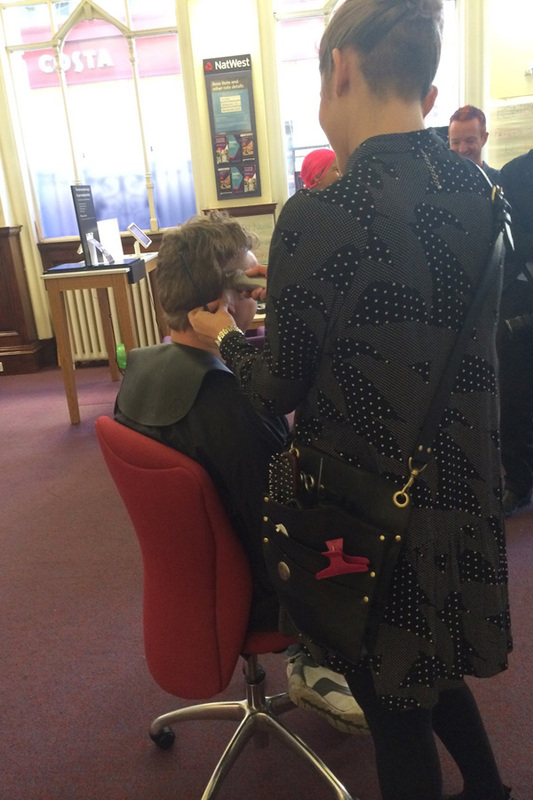 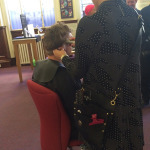 Fred went for the chop in the middle of Nat West’s busy banking hall Friday 14th November.